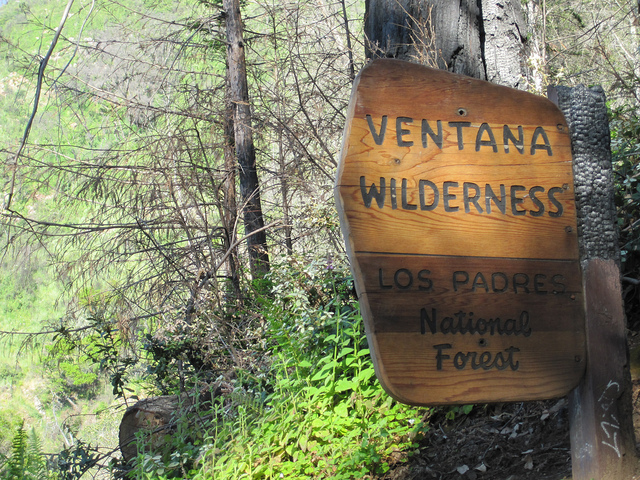 A recent fire and the national election are testing the limits of the Santa Cruz-based Ventana Wilderness Alliance. The nonprofit has been fighting hard to protect and preserve the Big Sur Wilderness for almost 20 years. They’re fighting even harder now. The Soberanes Fire burned 200 square miles of Big Sur last summer. The Alliance’s executive director, Mike Splain, says although the fire was destructive, President-elect Trump’s land-use policies could add fuel to the fire when it comes to conservation. Trump’s pick for Interior Secretary, Ryan Zinke, received an extremely low lifetime score of three percent regarding his environmental record from the League of Conservation Voters. Just as Planned Parenthood and other progressive nonprofits experienced upticks in fundraising soon after the election in anticipation of decreased government funding, the Alliance has also seen a bump in fundraising, which Splain calls the “Trump Effect.” Basically, many Americans are stepping up to help the nonprofits they perceive as possibly being negatively affected (i.e., getting funded less) by the incoming administration. NPQ reported on the post-election trend of “rage donating” that buoyed many nonprofit organizations. Splain says nonprofits like his “pick up the slack” during financially lean times when the government either slows increases of reduces funding. For example, the U.S. Forest Service’s budget to maintain trails, provide education on the outdoors, etc. has been drastically cut over the years. Instead, much of their current budget is devoted to fighting fires. That brings us back to the Soberanes Fire—it might have been prevented or lessened with proper visitor, recreation, and land management, which all incur ongoing (operational) costs. At $236 million, the Soberanes Fire is being called the most expensive wildfire in U.S. history. If more money was devoted up front to paying more staff and providing more ongoing maintenance, it may have been a more cost-effective route (and less ecologically damaging), contends Splain. California’s horrific wildfires are being fought by inmates who are paid $2 per day plus $1 for each hour on the front lines. Their relationship to the system and the general populace in this respect is emblematic of how California views its incarcerated population.